Grovo is the leading online platform that trains users on top Internet tools and cloud services with 60-second, personalized videos. Featuring 3,500+ video lessons covering 100+ Internet tools and cloud services – and 15 lessons added daily - Grovo is the fastest and easiest way to become a better Internet user. With coverage, tools and training ideal for consumers, businesses, educators, and governments, users in 150 countries are using Grovo to work smarter and sharpen their Internet skills. For organizations and enterprises Grovo’s lightweight training dashboard, Grovo for Teams, enables employee training on the Internet tools, sites, and trends they need to stay ahead. Founded in 2010, Grovo is a privately-held online education company headquartered in New York City. Grovo’s initial business model is led by freemium user’s subscriptions. The first five lessons are free just for signing up and more lessons are offered as incentive as part of a viral invitation program. For every contact you invite to join Grovo, you get five more free lessons. For every one of those contacts that actually signs up for Grovo, you get an additional ten free lessons. Before the end of 2010, Grovo will be launching a premium content and training platform for businesses, organizations and non-profits. For $4.99/mo, users will be given full access to content without having to invite friends. This will include premium content such as videos on Google Analytics, Facebook Advertising and Twitter for Business. The monthly subscription will also give paid users access to the Grovo training platform, where organizations can train their staff, interns & virtual assistants on the latest technologies for marketing, sales and productivity by assigning courses to employees, managing accounts and measuring progress, all from an easy-to-use interface. 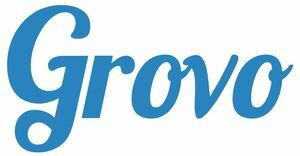 Grovo also plans on partnering with organizations an larger businesses for white labeling services and licensed content. Additionally, future plans include sponsored advertising where companies can get their educational videos in front of Grovo users based on demographics, browsing habits, and interests, to find and educate potential users. Taking it a step further, businesses can partner with Grovo to create Grovo courses on their site to train current users. Educated users is a loyal users. Grovo is simple, free, has proprietary and scalable content, and huge distribution channels. Jumping onto the Web can be a daunting mix of new technologies and tools that don't make sense, and acronyms and lingo that sound like gibberish. Blogs and online searching yields disparate information and takes time. 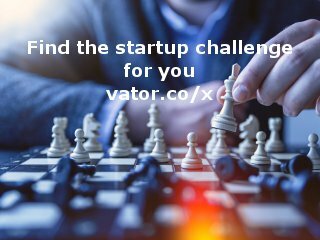 The best you can come up with are bulk articles about high level strategy, amateur videos usually done by consultants that want you to buy their services, or check lists guides that don’t actually guide you through the process. Of course businesses, non-profits and educators could hire outside consultants, but they are always costly and often hit-or-miss. Grovo was featured in a VatorNews article: "Top startup competitions: their most successful alumni"
Grovo was featured in a VatorNews article: "Top investments from the most active VCs of 1Q 2016"
Grovo was featured in a VatorNews article: "Lesson.ly raises $5M Series A to train your employees"
Grovo was featured in a VatorNews article: "Meet Mike Edelhart, Managing Partner at Social Starts"
Grovo was featured in a VatorNews article: "Grovo raises $40M Series C to grow its LMS"
Grovo was featured in a VatorNews article: "Funding roundup - week ending 2/20/15"
Grovo was featured in a VatorNews article: "Official: Twitter acquires TweetDeck"
Grovo was featured in a VatorNews article: "What you need to know - Wednesday 12/21/10"
Grovo was featured in a VatorNews article: "Mass Relevance gets $2M for social marketing"
Grovo was featured in a VatorNews article: "What you need to know - Friday 12/17/10"